A “Class of 1970” inductee, Stan Baluik ranked sixth all-time in assists (249) and eighth all-time in points (373) in Reds history. 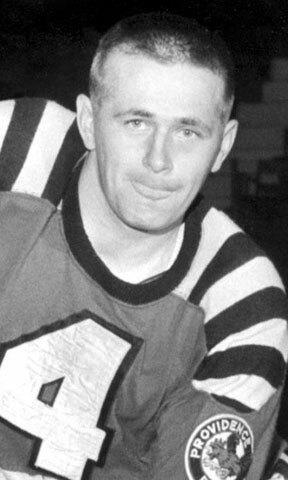 Baluik also registered 124 goals and 289 PIM in 342 games during his five seasons with Providence from 1959 through 1964. A talented scorer and skater, he was named AHL Rookie of the Year in 1959, going on to center the famous “B-line” line with the popular Jimmy Bartlett and Pierre Brillant to form one of the league’s most prolific scoring trio in the early 1960s. An accomplished golfer, Stan turned professional in that sport in 1955, working as a club pro in the off season. In 1963, he accepted a position at Kirkbrae Country Club in Lincoln, R.I. Among his various USA and Canadian tournament wins were the 1965 Vermont Open and the 1971 RI Open.